I can't think of a better reminder of how quickly and easily the controversial and provocative can transition to the essential and mundane than this. Who today doesn't use tinned food? And have you ever heard of anyone speak of it with any kind of emotional attachment at all? If you have, I suggest finding yourself some new circles to move in, before it's too late for all of us. Tinned food is one of the greatest inventions of mankind, actually. 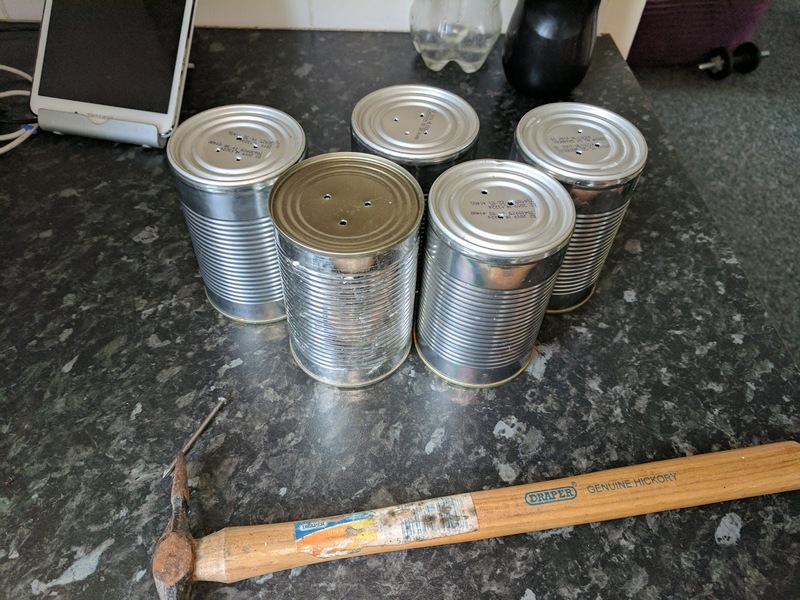 It keeps forever, or more or less, and aluminium tins can be easily recycled, even though (surprise surprise) the usual suspects in the world of capitalist fucktardery apparently don't care. But I grew up on Blue Peter. I care. While googling around in preparation for this post, I discovered that you can even earn a bit of extra money by selling aluminum cans directly to recycling centres, something I perhaps should look into. Or perhaps you should. Let's all do a bit of that. 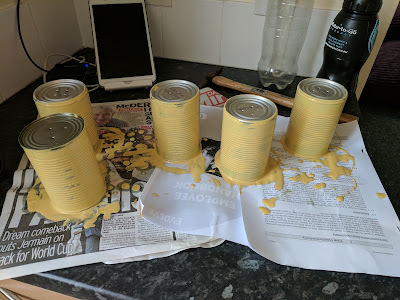 With the labels removed and the tins rinsed out, I banged a few holes into the bottom of each. 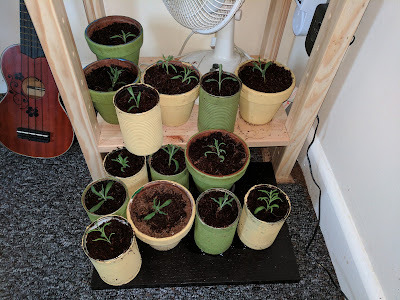 Then, I painted them. My lavender plants have been doing well recently, so there's no shortage of material for cuttings. 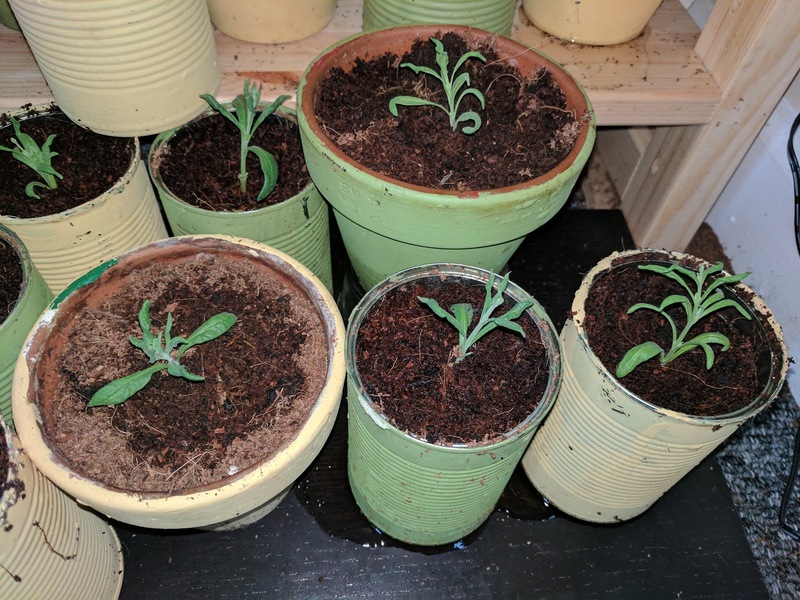 And so it was that my recycled tin can lavender nursery was born. Take that, T S Elliot.